Dean Markley Nickel Steel Signature Series are used and loved by thousends of pros worldwide. 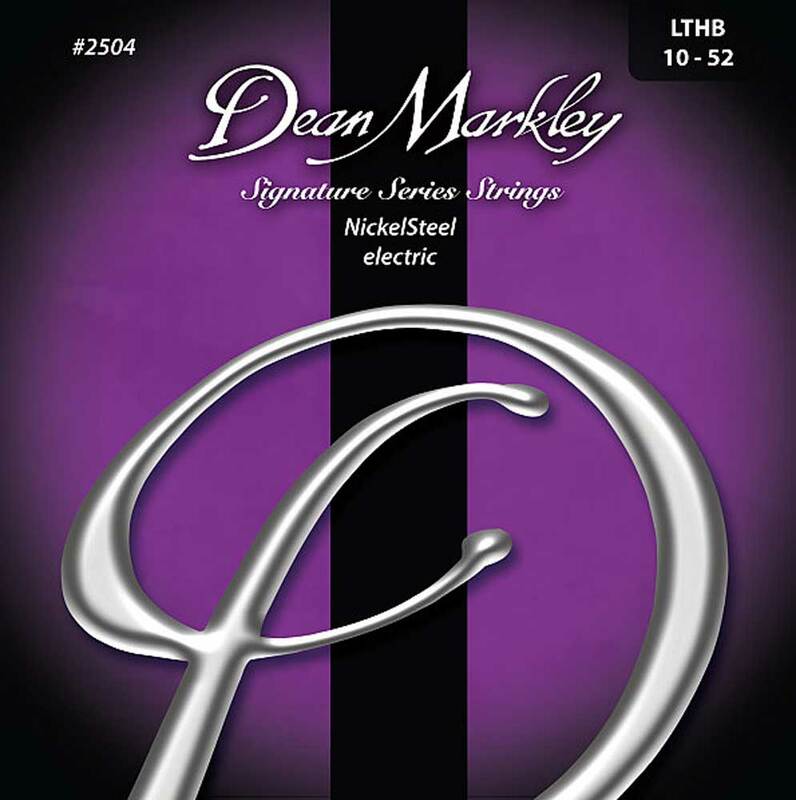 Sporting a new look, the NickelSteel Electric strings are the cornerstone of Dean Markley. Tried and true, with long-lasting tone. With nickel-plated steel hand-wound slowly over a hex core, the outer string wrap maintains 100% contact with the core. The result is a string that vibrates completely for maximum sustain, creating a warm, full sound distinctive of classic rock and roll. The core-to-wrap ratio makes bending easier than other strings, too.